Pololu Valley located at the end of the road heading towards North Kohala on Akoni Pule Highway. Along the way to the valley, you’ll see the original King Kamehameha Statue located in the town of Kapaau. For the adventurous, a hike down below to the valley but be careful, it’s harder going down than it is going up. Waipio Valley – You’ll need a 4 wheel drive and a very experienced and capable driver to take you down the steep terrain. We recommend hiring a tour guide instead. At the base of the valley is where kings used to live. You’ll find a black sand beach. If you venture more inland you’ll find rivers and waterfalls. The valley is majestic and is an awesome sight to see from the scenic point. Located on the east side of the island Akaka Falls and Onomea Falls have beautiful waterfalls located along the Hamakua Coast on your way to Hilo. Saddle Road. If you don’t want to drive along the Hamakua Coast, there’s always the Daniel K Inouye Highway aka Saddle Road. Located between the volcanoes Mauna Kea and Mauna Loa, the views are absolutely breathtaking! We recommend taking the Saddle Road in the morning if you decide to go this route. 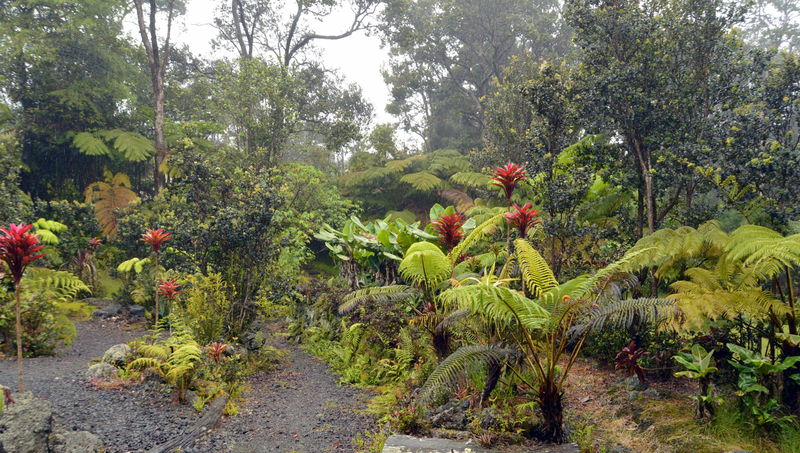 Volcano National Park is a little over 2 hours away from Puako. Give yourself plenty of time to drive and to take in the park itself. There is plenty to see and you’ll be awestruck at just the sight of Halemaumau crater. Bring lots of water and comfortable shoes if you want to see the actual lava flow.